A dump truck caught fire Tuesday morning and quickly spread to two other truck on Chicago's West Side. 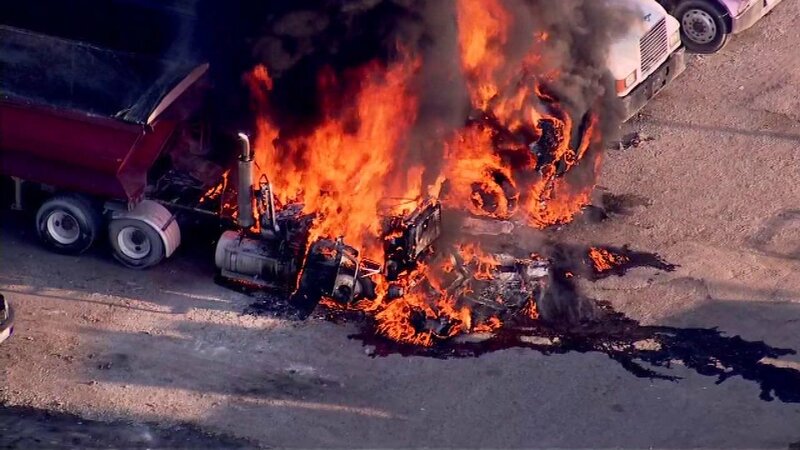 CHICAGO (WLS) -- A dump truck caught fire Tuesday morning and quickly spread to two other trucks in a parking lot near Kolmar and Grenshaw on Chicago's West Side. Black smoke could be seen along the Eisenhower Expressway. Firefighters eventually put out the fire. No injuries were reported.